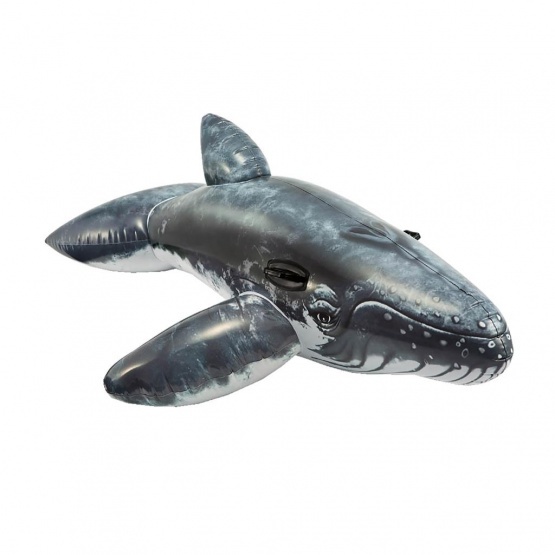 Metropolis Drachen | Intex whale "Ride-On" realistic | Buy online now! The "Ride On" Whale by Intex provides a lot of water fun and has a realistiv print! The whale can be used in the swimming pool, in the pool or on the beach. 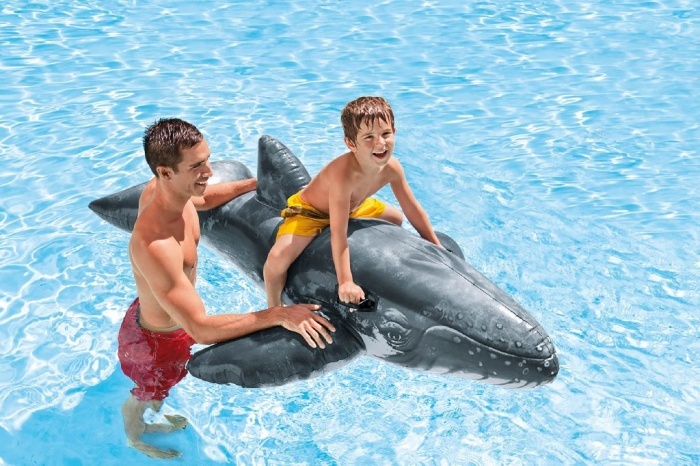 The "Ride On" Whale by Intex provides a lot of water fun and has a realistiv print! The whale can be used in the swimming pool, in the pool or on the beach. It is equipped with two handles that provide safety on the water. If the whale gets a small hole, no problem, there are repair patches included.